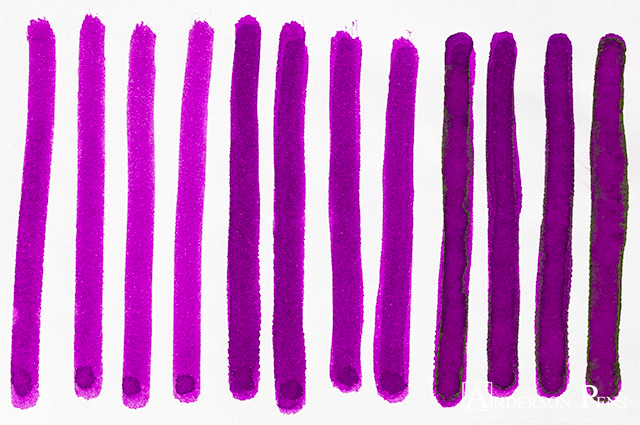 We’re mad for this mesmerizing magenta! 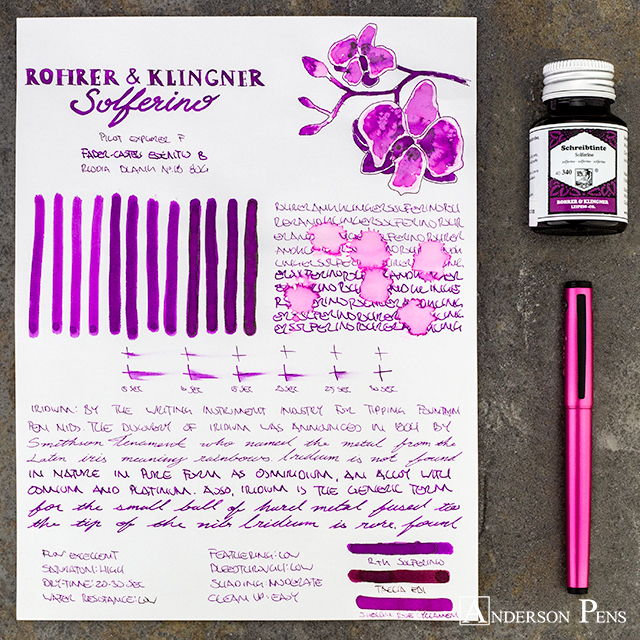 Rohrer & Klingner is a German company that produces a wide array of inks with unique colors and properties. 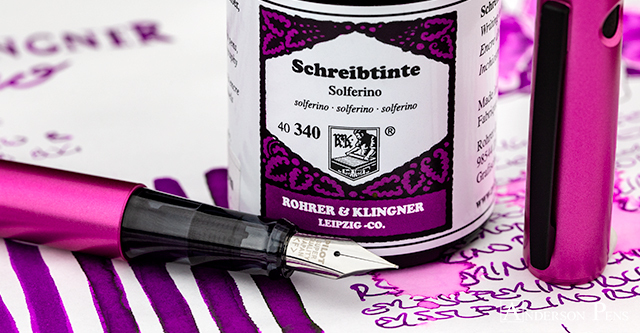 Solferino is one of the their writing inks, and it is in my opinion the most eye-catching color in their line. R&K ink comes in a 50ml glass bottle with a metal cap. I love the vintage-inspired label on the bottle, and at $12 a bottle they are a good, economical option. This review was done with a Pilot Explorer F, Faber-Castell Essentio B and on Rhodia blank No. 18 paper. 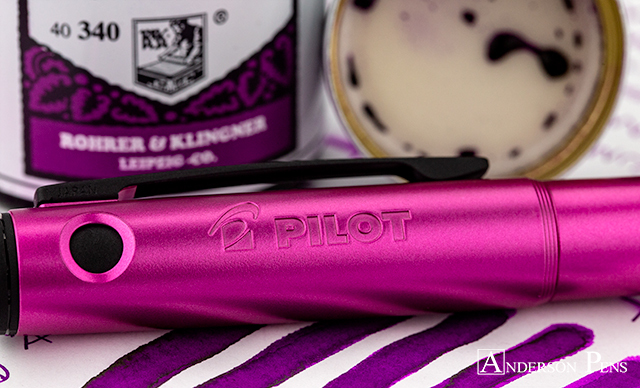 Overall, Solferino is a traditional magenta color, but its moderate shading brings out a nice range of other colors. 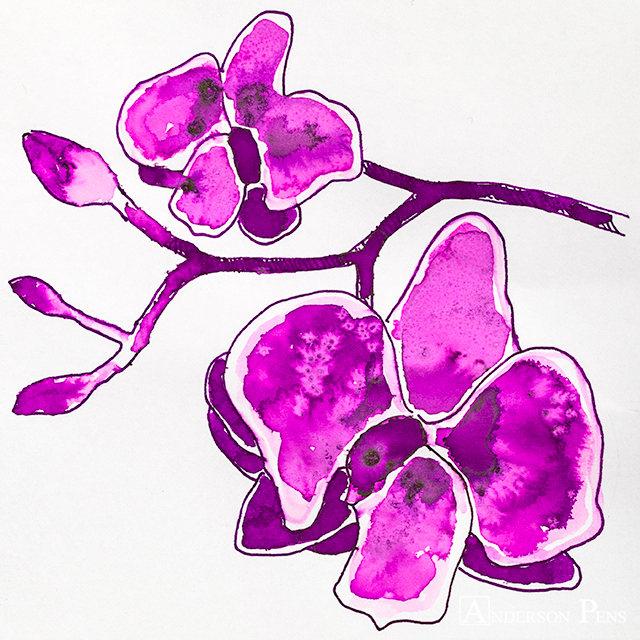 At its lightest, the ink is a lilac purple. From there, it shades to a plum purple before finishing as a rich raisin wine. One thing I love about the ink is its vibrant golden green sheen. 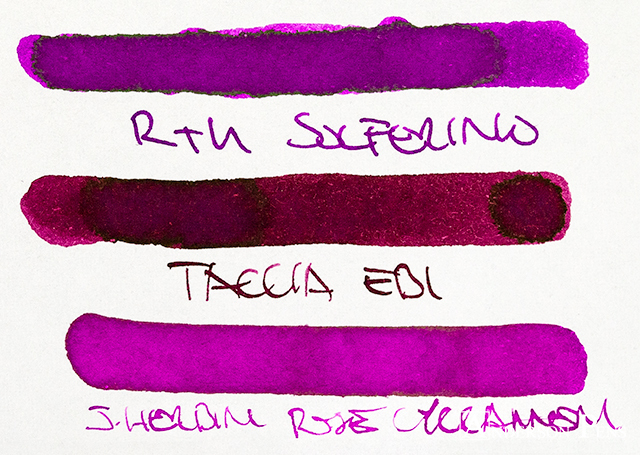 While you won’t see it on Rhodia paper, the sheen really pops on Tomoe River. 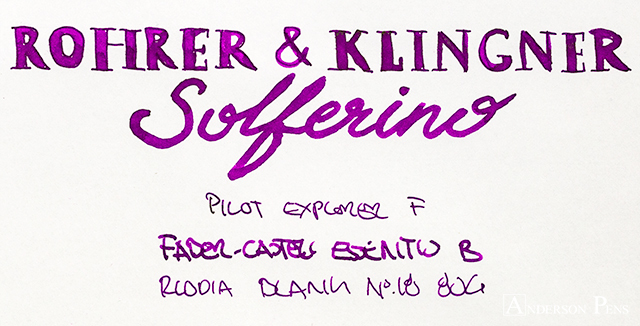 Solferino is a well-behaved ink with properties similar to the other R&K inks that I’ve tried. It is very wet with excellent flow, but it doesn’t feather or bleed through on Rhodia paper. It’s a fairly saturated ink with normal dry times at 20-30 seconds. While the ink doesn’t have any water resistance, it’s very easy to clean. So whats a good use for Solferino? Basically any purpose that doesn’t require a blue or a black! 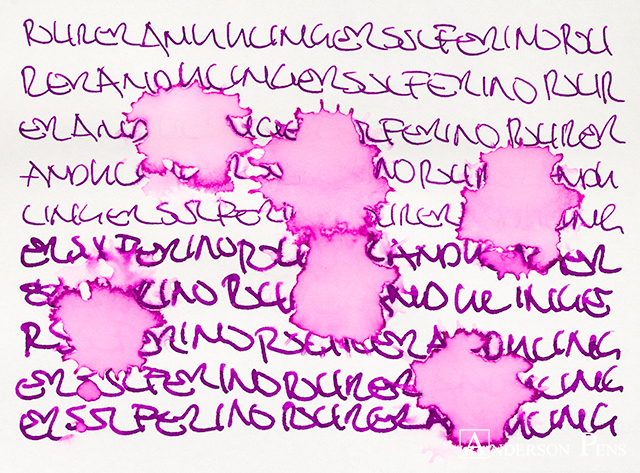 Solferino is a fun and vivid ink, without being “too” pink. There is a richness to its color that draws you in. 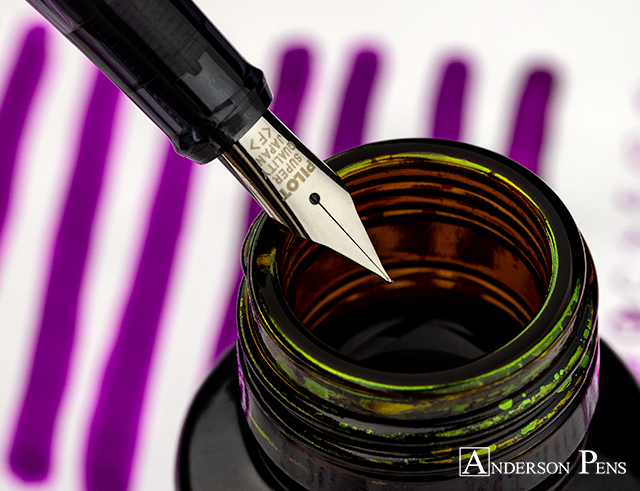 Ink it up on Tomoe River paper to get the best of what this ink has to offer. This entry was posted in Ink, Ink Reviews, thINKthursday and tagged ink, ink review, Rohrer & Klingner, thINKthursday. Bookmark the permalink.